Used for both high arches and flat feet, the Soul Insole shoe bubble is designed to reduce the symptoms of Plantar Fasciitis, and reduce the stress on your ankles, hips, knees and spine. Because it is made of medical grade gel, so the bubble maintains is shape and long life expectancy. It is antibacterial, odorless, soft, flexible, smooth, and a clear color. High heels or hiking boots, you really can wear it with any kind of shoe. The polyurethane gel is very soft, flexible, and absorbs shock. The shape of the shoe bubble helps to effectively redistribute pressure from the heel to the top of the foot. Notice that on each shoe bubble, it has an imprint of a little foot, with either an R or L. That way, you know which bubble goes in which shoe, right or left. One of the interesting things about this kind of arch support, is that it is washable. You can wash it with water (no soap), and set it out to air dry. Do not place it in a dishwasher or dryer. 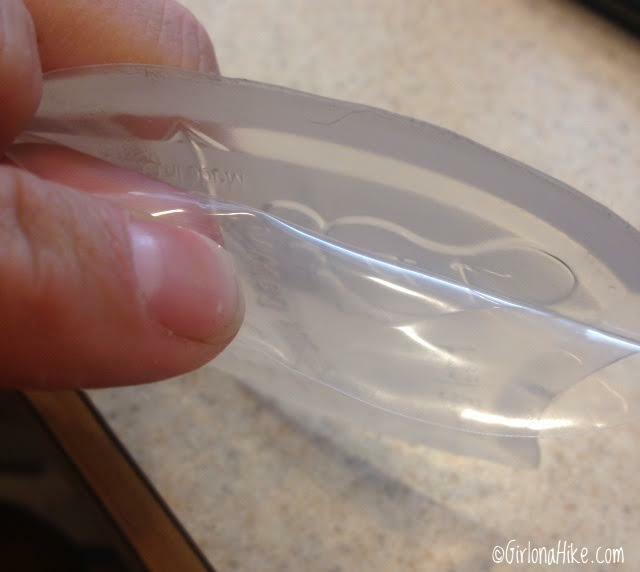 If you do decide to wash the bubble, the adhesive will regenerate. You'll also notice that there is a film on the shoe bubble. You can peel this off, and stick it in the shoes you need the most support in. Before sticking it down, test the feel to see if you need to make any changes in placement. Even after removing the film, you change them out with various shoes. If your shoe has a removable foot bed, you'll want to place the bubble under the foot bed. Otherwise it will stay in place on top of the foot bed for most shoes. 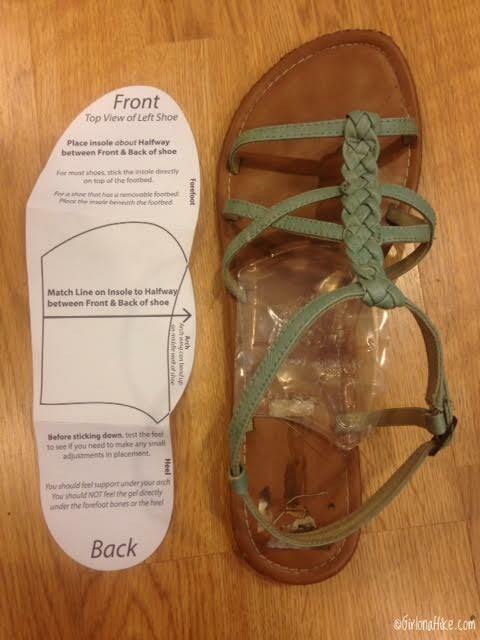 The package comes with two shoe bubbles (left and right), and this handy little instructional guide to shows exactly where to place it in your shoe. 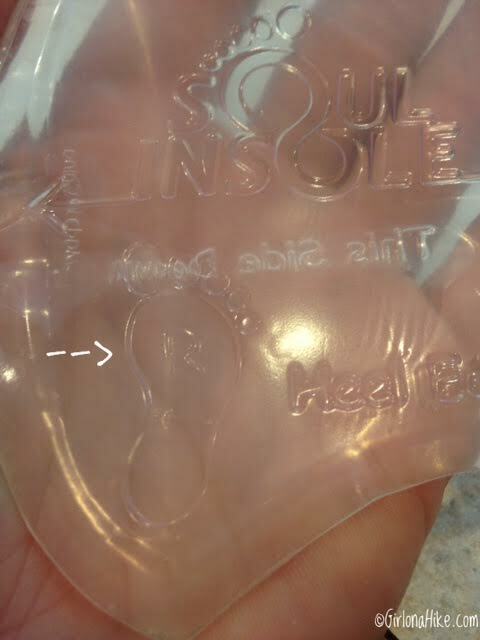 The Soul Insole shoe bubble should be placed about half way between the front and back of shoe. The inner arch of the bubble will slightly be rolled up when placed in an enclosed shoe. Do not place the bubble directly under the heel - if you feel it under bony areas or if it hurts you in any way, discontinue use and consult your doctor. 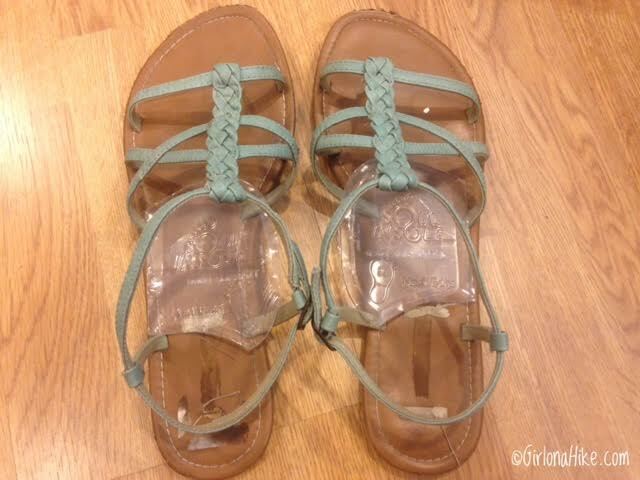 I'm using my sandals to show how the shoe bubble works, since it's easier to take photos of. They may be cute shoes, but they also have zero support, so it ended up working out, placing the shoe bubble in them. 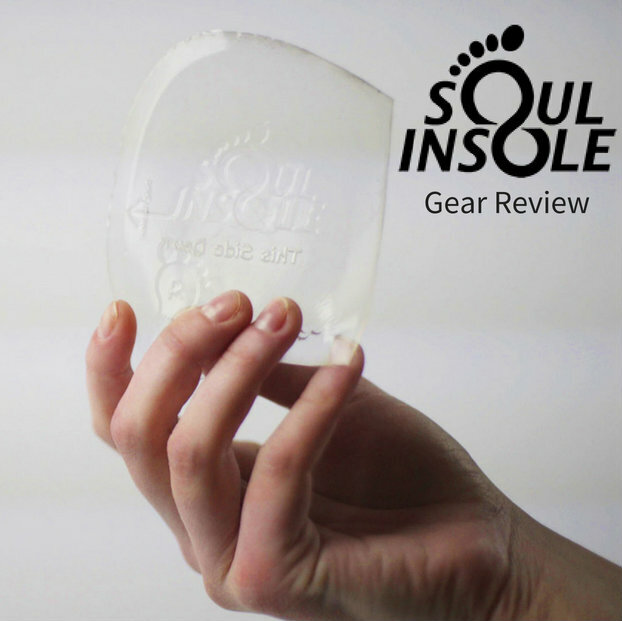 Be sure to check out Soul Insole's website, and follow them on Facebook, Twitter, & Instagram! Soul Insole can also be purchased on Amazon. Thanks for the information, Alicia! I sent this post to a friend that suffers from Plantar Fasciitis.